Here's why this Ashish Sharma-Sonarika Bhadoria starrer would keep you entertained on the weekends. Read on to know more. What is better than a romantic movie? Well, a great romantic period drama! There is something about those regal portrayals and classy costumes, larger-than-life characters, lavish set designs and picturesque backdrops which make the entire feel of love much more dramatic. And with Indian Television's latest obsession of historical shows, we've seen a majority of them on Sony TV. Tonight, the channel will debut yet another less explored historical tale in the form of Prithvi Vallabh- Itihaas Bhi Rahasya Bhi, helmed by former writer and debutant producer Anirudh Pathak, first of the channels's production under the sub-brand SET Originals. Here are a few points that we feel will set Prithvi Vallabh apart from other shows. Both Ashish Sharma and Sonarika Bhadoria are fabulous actors and there is not a doubt about it. In a first look of the show that was revealed to the media at the launch, we saw the two actors in the same frame and fell in love with the duo. We can be rest assured that Ashish and Sonarika will do justice to their roles in the show. The promos of the show speak for themselves. The show seems a complete visual treat and looks majestic, where be it the breathtaking visuals of plush green dense forests shot at picturesque locales, the magnificent weaponry and warfare touted to be worth over a crore, stunning costumes in vibrant bright hues, grand production at an international level or last but not the least, the characters - their mannerisms, body transformations that make for a complete package. Prithvi Vallabh has an impressive list of talented and well-known actors from Bollywood and Television. From the likes of Seema Biswas, Mukesh Rishi to Ishita Ganguly, Shalini Kapoor, Alefia Kapadia, Surendra Pal and Narendra Jha, Jitin Gulati, Piyali Munshi, Pawan Chopra among many more; one can be guaranteed that they will witness some great performances. With a mature audience to be catered to these days, there are many takers for a story less known or unexplored. And Prithvi Vallabh seemingly satisfies that, providing a story that is not really known to many, with the viewing experience of the 70-mm. 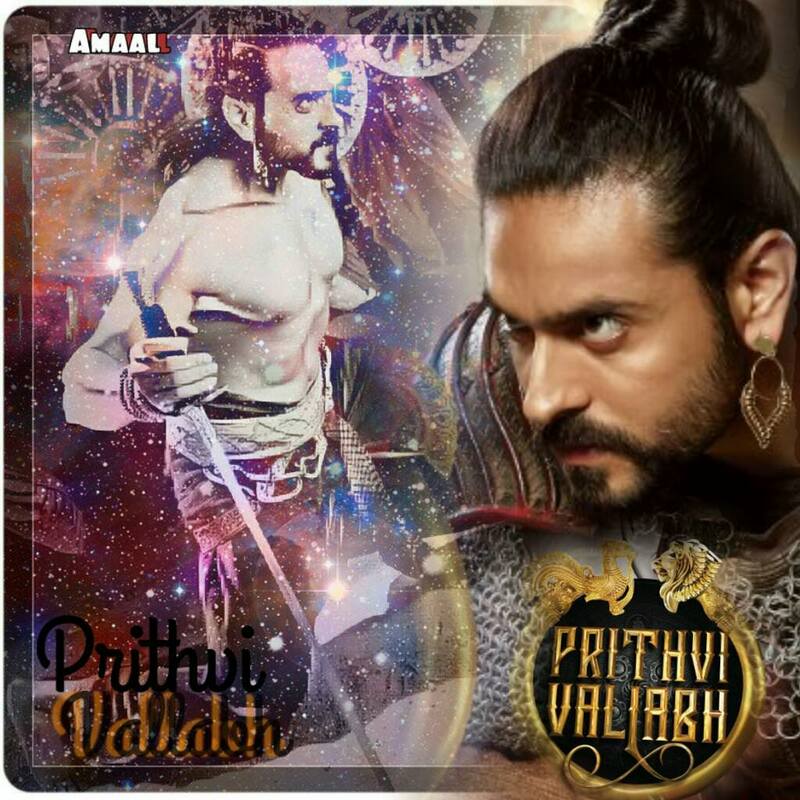 Prithvi Vallabh is the first production under SET's sub-brand SET Originals wherein the channel will collaborate with new creative storytellers to offer premium, fresh, and finite content with superior production values and narratives that have a global appeal. The makers are confident that the Indian content has immense potential and pull for the global audience. Usually, when one sees a historical or period drama, we always see a king who is fierce, arrogant, war savvy and who wants to conquer the world. Then a girl comes into his life and he changes forever. But in Prithvi Vallabh, it is completely the reverse. The viewers will see a princess, who is war savvy, fierce, who wants to conquer Malwa and likes to fight. Her entire kingdom is like that, where everything is about the truce, war, and violence. And then you see a king, which is Prithvi Vallabh, who is about love, peace, who wants to write poetries, believes in the philosophy of living and let live. But most importantly nobody changes in the show and they stand true to their character. Well, we assure you that the above points are convincing you enough to watch the show that premiers tonight. Are you guys excited to watch Ashish and Sonarika back in action? Leave in your comments below..
Rashmi Sharma's next - 'Kal Bhi Aaj Bhi' on Star Plus..
'Teri Bhi Chup Meri Bhi Chup' for Swapnil and Ali..
SamoJisha 2018-01-21T09:45:30Z Ashish Sharma Loved Start of PV Wonderful dance ...Looking perfect ..
SadeenSharma 2018-01-21T09:33:58Z Ashish Sharma Loved ur look in Prithvi Vallabh ...u really charming prince ..
Tishu09 2018-01-21T09:18:21Z Awesome ur comeback Ashish Sharma ..